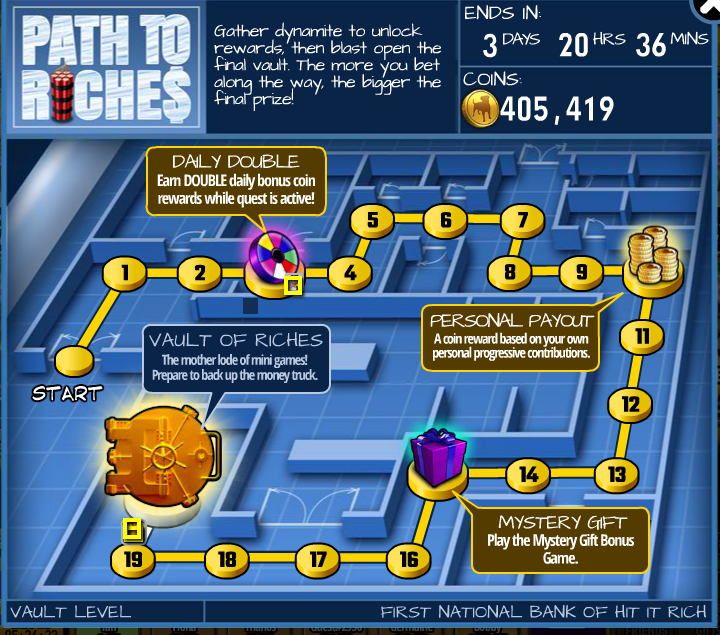 Here's some information regarding the Paths of Riches which you may find useful! 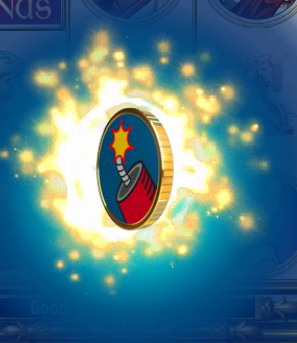 Players can collect Hit It Rich! tokens which will randomly appear during regular play. All rooms are eligible for the feature so just keep spinning! *Every token will reward you 10,000 Coins! - Players receive rewards at 3rd, 10th, 15th, and 20th tokens. - Collect 20 Tokens and big surprises await! We hope you enjoy this feature and let's all keep spinning!